I had awesome plans. 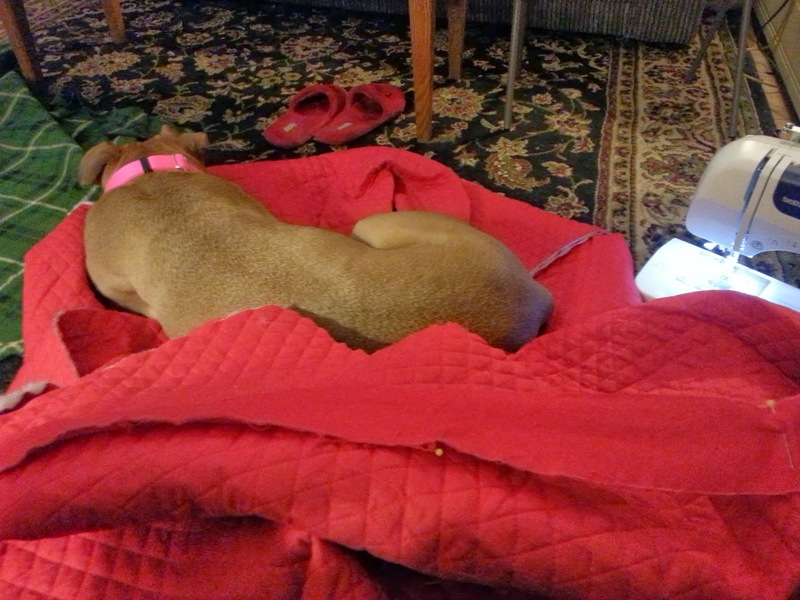 I was going to keep up with the blog and have all the challenges up on time. Ha. I'm hilarious. Then the universe intervened. And I had to haul my dear laptop off to repairs and find a real job. I am not wearing anything under it. It stands out just like that on its own. 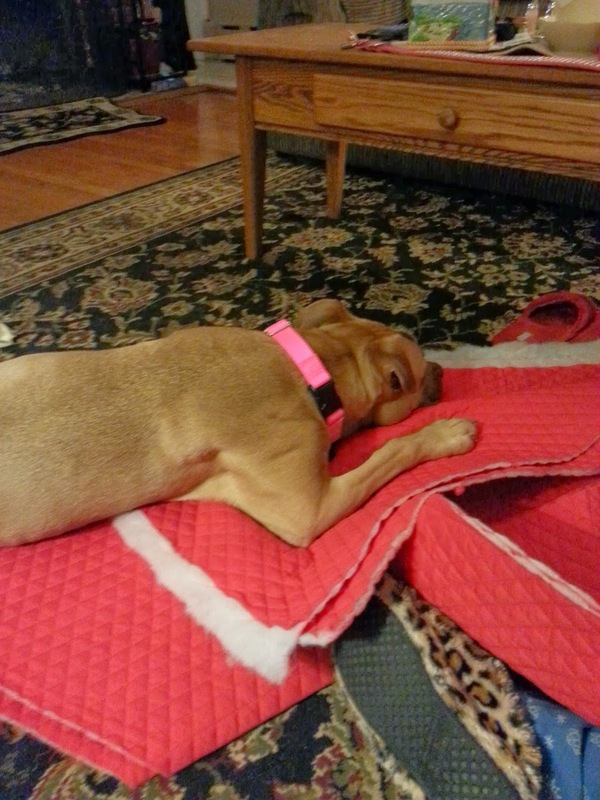 I intend to add a bit of stiffener to the hem to make it even sturdier. 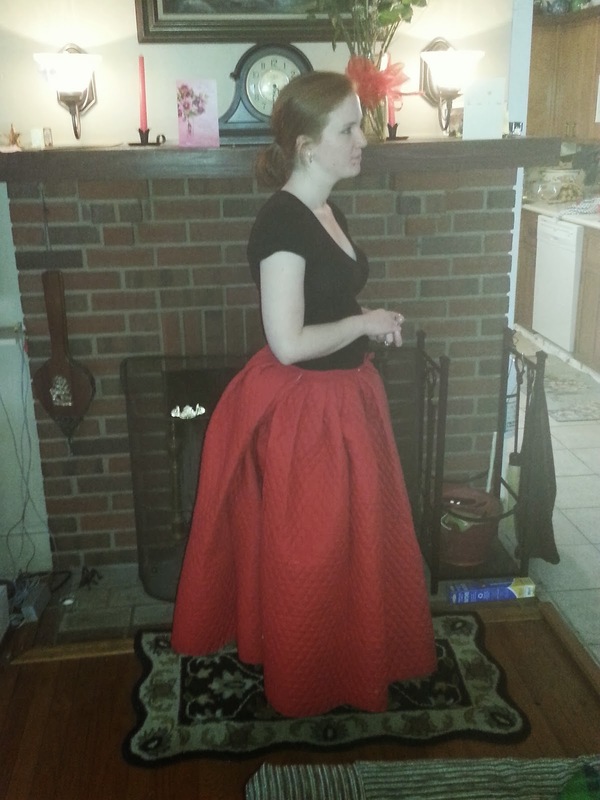 I like the quilted petticoat because I have no patience for hoops or corded petticoats of any kind. This one is to be worn under a Florentine Gown with one petticoat over it. So it should stand up nice. 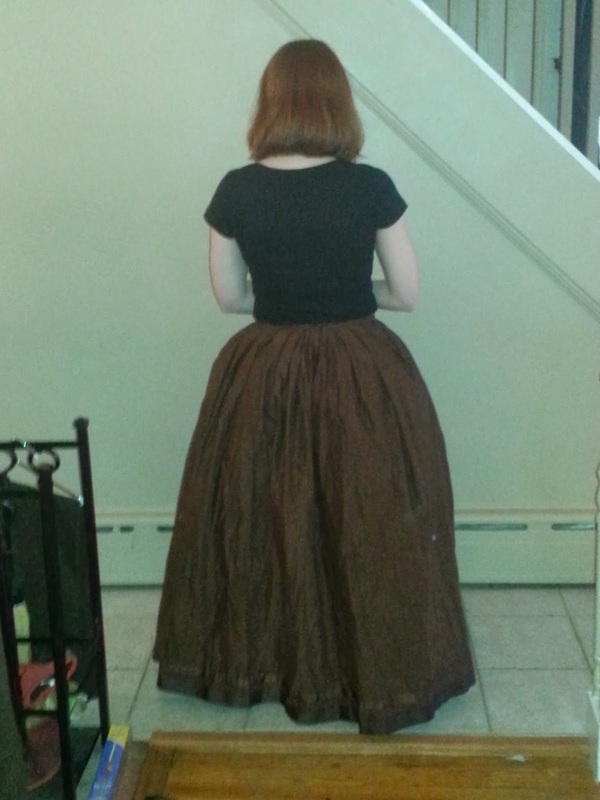 Plus it holds my skirts out with the same umph but fewer petticoats. I'm also planning to use it for several eras. 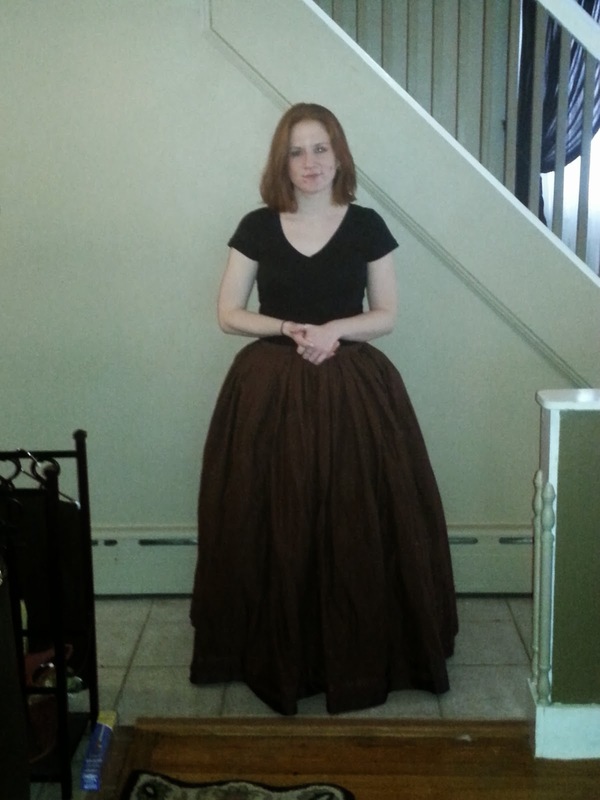 Here it is under a skirt. 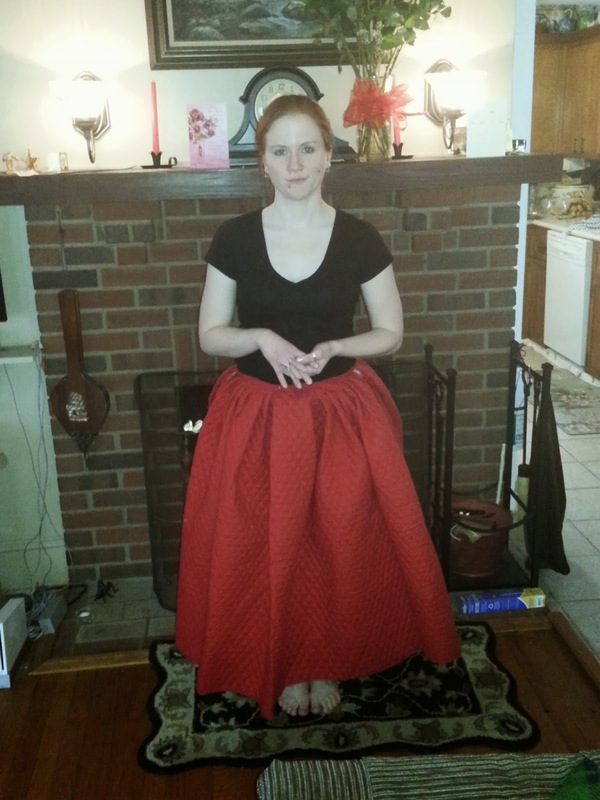 The skirt is 4 yards quilters cotton with two grosgrain ribbon guards. 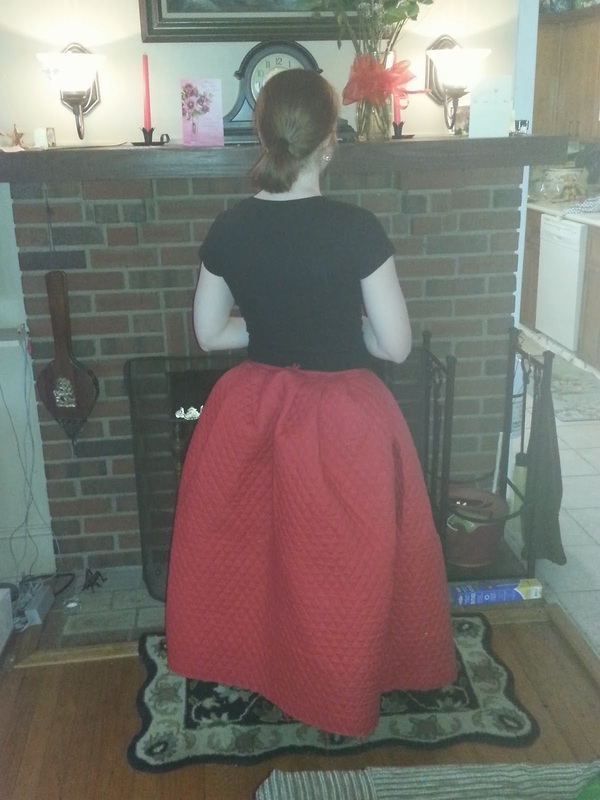 The petticoat holds up rather well. Pattern: Cut 4 rectangles at the proper waist to ankle height. And two longer ones for waistband. 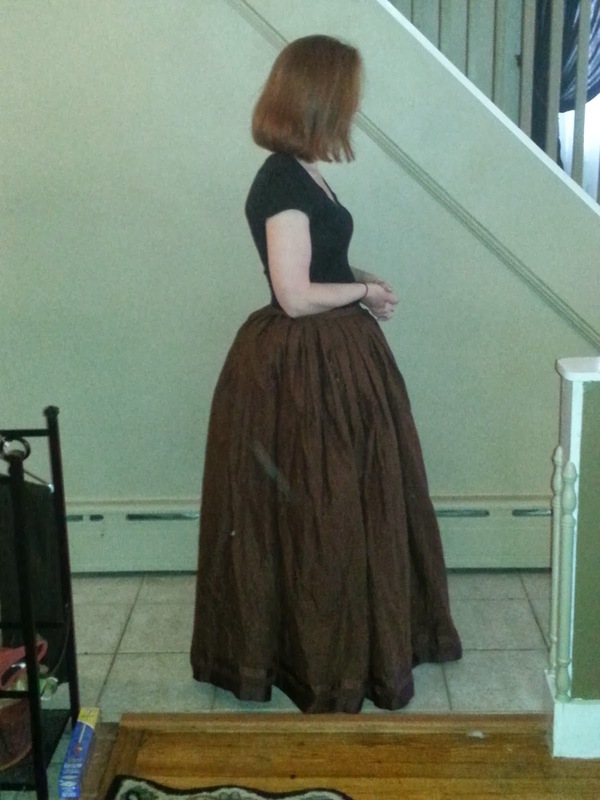 Year: I consider it rather multi era, given it gives awesome skirt support. Its true purpose is for 1570s Florentine. Total Cost: Fabric was on sale so $15? I bought it awhile ago. Hopefully the dress will be soon! Gods forbid the fabric floats away!